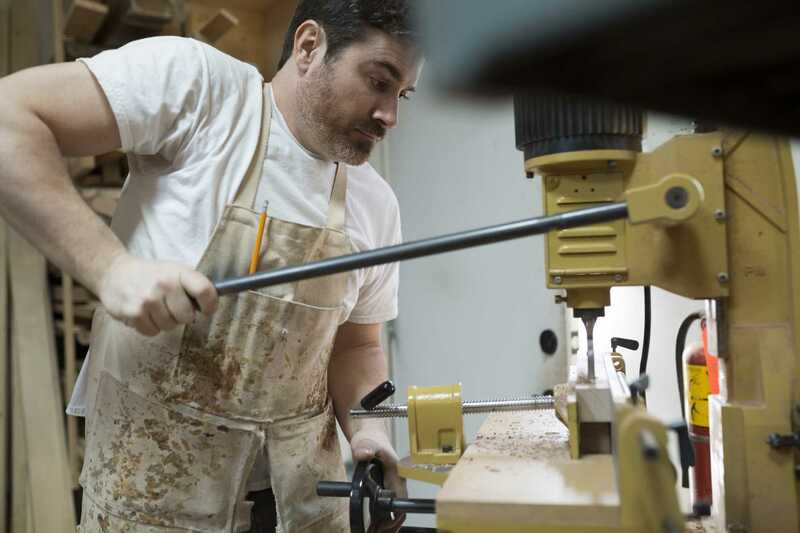 When your woodworking plans call for holes to be drilled in pieces of stock, you could certainly use a hand-operated power drill or cordless drill. However, if precision is a concern or if you have large-diameter holes to drill, you should consider using a drill press. 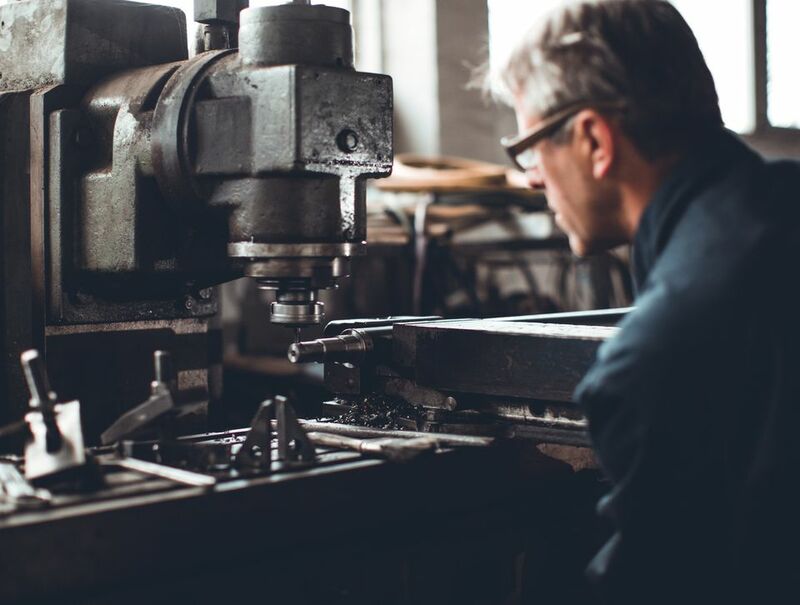 The drill press has a much more sturdy motor than a hand-operated drill, and the quill and chuck are kept in alignment with the adjustable-height drill press table ensuring that your holes will be vertically aligned as they are being drilled. A mortise is a square or rectangular hole that receives a tenon of the same size cut out of an adjoining piece of wood. For centuries, mortises have been cut by hand with a chisel. Modern ingenuity has brought us a specialty machine called a mortiser that is used for cutting mortises. A mortiser has a square chisel with a drill bit inside that drills the hole and cuts the square edges of the mortise simultaneously. If you don't have a mortiser, you can use your drill press to cut out the majority of the stock in the mortise, and then square up the mortise's edges with a sharp chisel. If the woodworking project calls for one or two mortise and tenon joints, creating the mortises with a power drill and a sharp chisel is definitely a viable option. However, if the project requires a number of mortise and tenon joints, it might be best to turn to a dedicated, hollow-chisel mortiser, which will whip out a number of clean mortises fairly quickly. If there isn't the space (or the budget) for another power tool, there is another option as long as there is a drill press. Many floor-standing drill press manufacturers offer a hollow-chisel mortising attachment. This drill press attachment allows you to use hollow-chisel mortising bits in sizes from 1/4 inch to 3/4 inch in width. When the project has a number of curved cuts from a jigsaw or a band saw that need to be sanded, the quickest and best results come from an oscillating spindle sander. That being said, if a spindle sander isn't readily accessible, one simple solution is to use the drill press. As long as there is a barrel sander attachment that fits into the drill press' chuck, the job will get done in no time. Additionally, with the variable speeds of a drill press, different adjustments to the spindle sanding speeds can be made to accommodate nearly any type of material. Doweling has been used for centuries by woodworkers who needed to strengthen their joints. The principle behind doweling is simple: small, round but evenly cut sticks of wood, called dowels, are inserted into perfectly matched holes in corresponding boards that, when glued in place, provide a strong, durable woodworking joint. Of course, the most important task in creating dowel joints is to precisely drill the holes for the dowels in the adjoining boards. If the holes aren't drilled exactly in the right places, the dowels won't align properly and the joint won't hold well. This is a perfect task for a drill press.